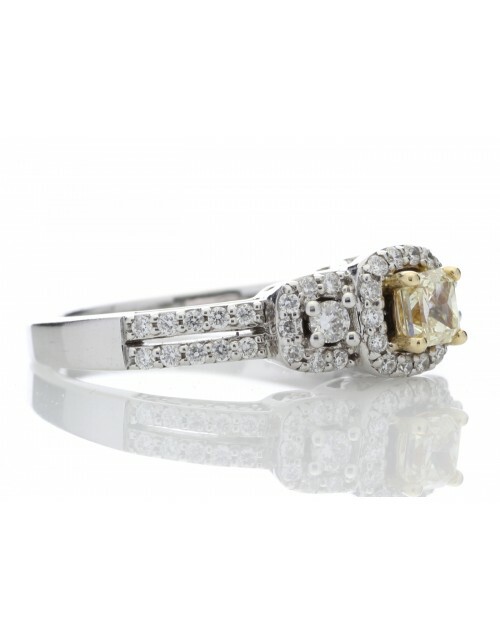 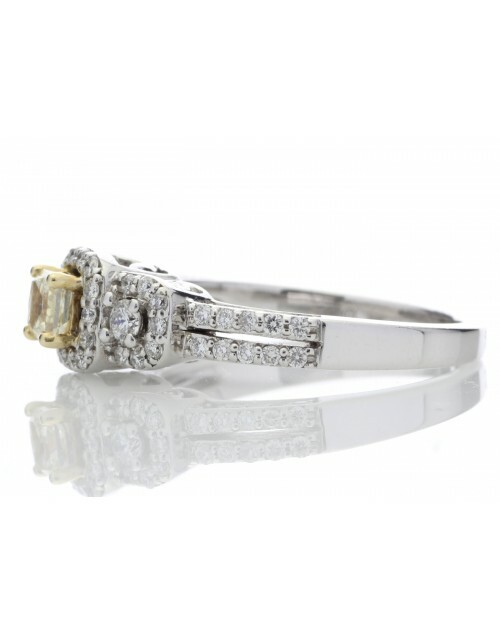 One radiant cut fancy yellow diamond set in a dazzling hallo surrounded by sixty three sparkling D colour round brilliant cut diamonds. 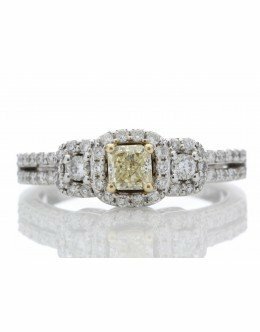 Set on an 14ct white gold ring. A stunning blend of both modern and vintage- inspired fashions. 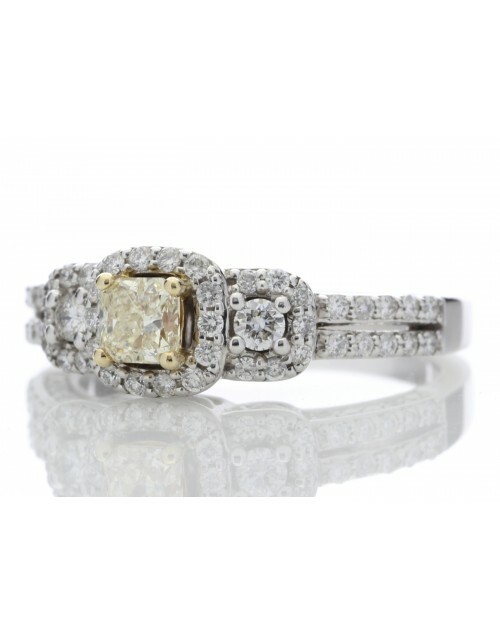 A unique finely detailed designer piece that is a timeless pleasure.